Drop in for a tea or coffee on Tuesday afternoons between 12.30pm and 2.30pm. We will also have a range of soft play and toys set up for the little ones in one of our halls. Entry is £2.50 per parent and toddler, plus an additional £1.00 per extra toddler. Teas and Coffees available too with donations going towards the centre. Please note this is not a drop off session and all toddlers must be supervised by a guardian. 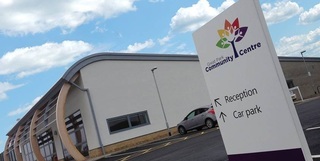 For more information call us on 0191 236 8196 or email us at info@greatparkcommunitycentre.com.